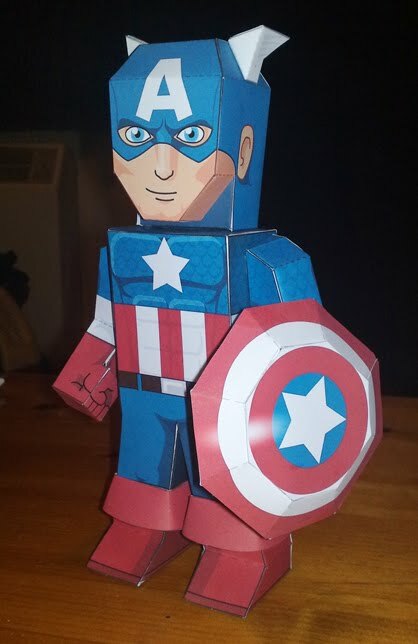 Xavier Leo Gale-Sides makes paper models of Marvel superheroes, and then posts the templates and directions online. He usually focuses on the X-Men heroes, but he just put up this pretty slick-looking Captain America. Go check them out, and make your own fairly inexpensive desk toys!